​The placenta can continue to nourish beyond pregnancy. It plants, it grows, it holds a life, and it can benefit you too. 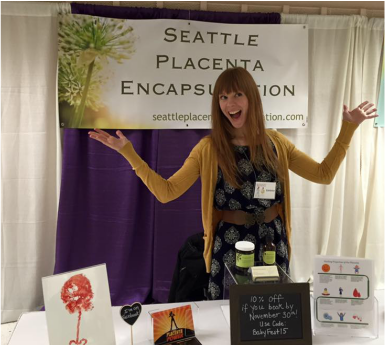 I can provide you with a service that even the most squeamish can handle - placenta encapsulation! Yes, taking your placenta and turning it into pills that you can swallow just like vitamins. Placentas are honored in so many cultures across the world. Many cultures practice placenta burial as a way of binding the child to their ancestral roots. Other cultures believe that the placenta is energetically the baby's twin. This is interesting considering the placenta contains the child's DNA, stem cells, and has provided all oxygen and nutrients to the baby starting in the 2nd trimester. In Chinese Medicine, the placenta has been highly respected for its medicinal value for a very long time. Yet, in America, the placenta is sadly looked at as something "gross" to be disposed of after birth. There is no second thought about what life forces this organ has provided for your growing baby throughout pregnancy. Many people are beginning to see the potential benefits that placentophagy (the act of mammals eating the placenta of their young after childbirth) has to offer. They are recognizing the effects of replenishing the depleted and tired body after labor and birth with all of the beneficial hormones, iron, protein, vitamins, and minerals that the placenta is naturally enriched with. The human placenta is incredibly powerful. Don't let something so beneficial go to waste! Discover more about placenta encapsulation today! ​I have encapsulated 187 placentas!